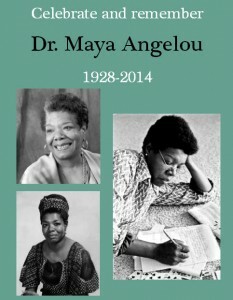 Dr. Maya Angelou, one of the most celebrated and admired poets, novelists, and civil-rights activists in the United States, died last month at her home in Winston Salem. The library has many of Maya Angelou’s works including her novels, poetry collections, autobiographies, essays, and cookbook. Check the online catalog for titles. Credo is an easy-to-use tool for research projects and assignments. Search in hundreds of encyclopedias, dictionaries, subject-specific titles, as well as 200,000+ images and audio files, and nearly 200 videos. This is an excellent resource for finding background information from reference sources. The topic pages have in-depth articles that give a nice overview and explanation of thousands of topics. Click here to explore Credo or use the link on our Library Databases page.